Arise and Shine Health is committed to teaching simple, natural principles you can use at home with family and friends to prevent and heal common diseases and injuries. We believe the best way to restore health is to cooperate with and augment the healing mechanisms already in place in our bodies--not by over ruling them with medications or other modalities. It's amazing what the body can overcome with a little help! A few of the conditions that can respond to various hydrotherapy treatments are chest congestion, infections, muscle and joint injuries, diabetic neuropathy, headaches, arthritis, and chronic pain. With the economy as it is, and the high cost of health care, many people are rightly looking for more economical ways of dealing with family health issues. Nature's remedies are very effective, low tech, inexpensive, readily available and easily applied. Most items needed to implement them, you would already have in your home. Now that's convenient! We give you the training you need to get started. Hydrotherapy is part of a new kind of health care reform that can decrease the cost of your yearly medical expenses. It is so simple, practical, and effective, that you can feel comfortable using it in your home with your family and friends, treating their illnesses and injuries. You will learn a number of specific treatments, when to use them, the step by step process of applying them, and when you need to get professional medical help. Handout material is included on the bonus CD. 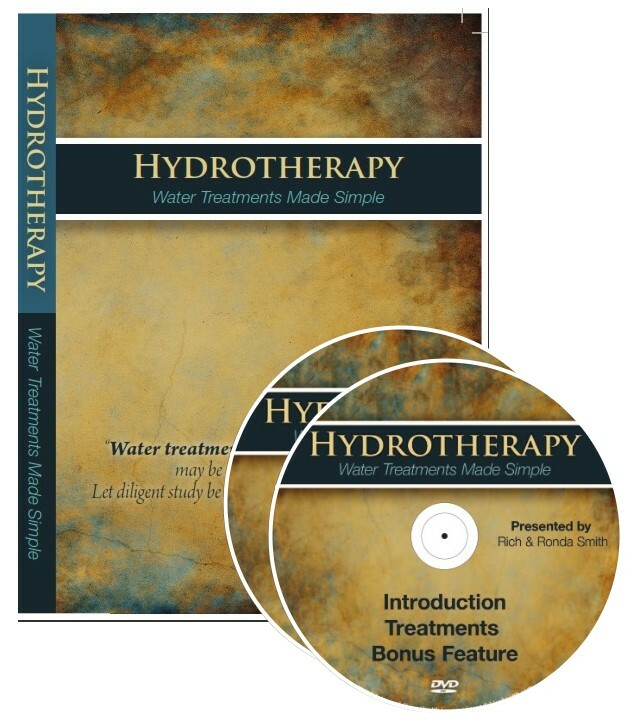 These practical, home style hydrotherapy treatment demonstrations, lectures and handouts are great for step by step classroom or home instruction. BONUS: Information and demonstration of charcoal.